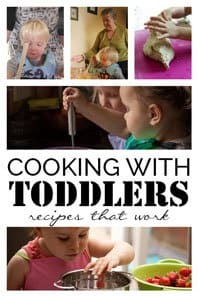 With freezing temperatures and then the wind chill added on top there is a huge temptation to stay inside but toddlers and preschoolers need to get out and use up some of that energy. 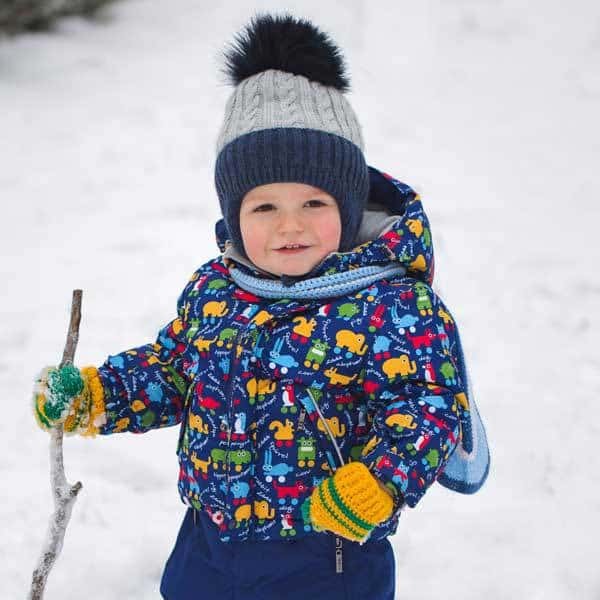 Wrapped up warm with lots of layers you can easily get 15 – 30 minutes in of simple outdoor winter activities for them before heading back inside enjoying a cup of Hot Chocolate and getting creative with some of our Winter Themed Crafts. Before you do anything else when the snow is pristine grab a bowl from the kitchen and collect some snow – keep it outside whilst you play and then when you head back inside use it to make some delicious Snow Ice-Cream. You can even be like my daughter and make it pink – check out the recipe from Happy Hooligans on how to make Snow Ice Cream. 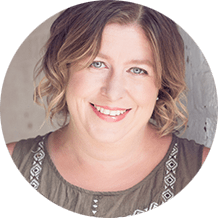 If you’ve got snow on the ground then you have to make snow angels – it’s almost a right of passage and even now as an adult if I’m playing around with the kids I’ll get down in the snow and do it as well. It’s plain and simple fun! Well what else can you do – we discovered when my kids were toddlers that snowmen were best made the day after the snow had fallen as it then held together better. The nice thing about making them with toddlers and preschoolers they aren’t worried if they look perfect or are as tall as a man. 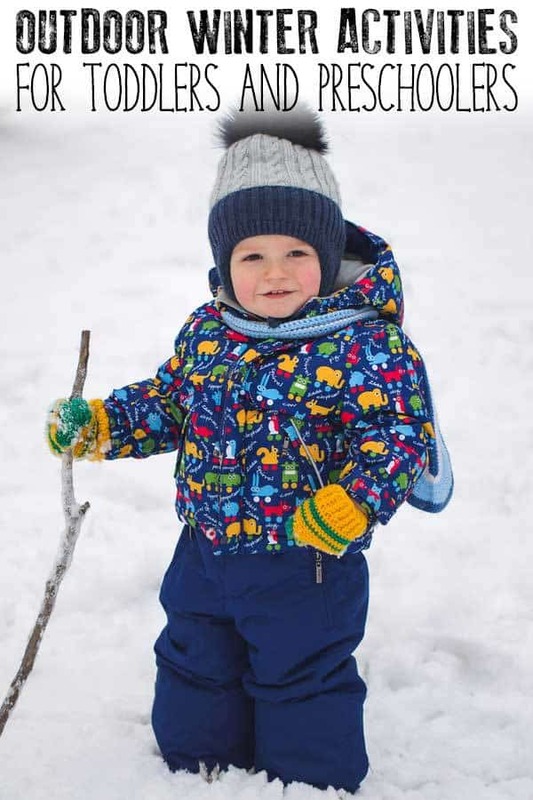 In fact, after you’ve been outside, bring some of the snow inside and create your own indoor snowmen building sensory tub with real snow for them to do. When you roll the ball together for the snowman instead of going all over the place use the ball rolling to create a maze in the garden. Not making a snowman then use your feet to plow through the snow and create a maze don’t forget to make some dead ends and go back on yourself to make it more interesting. This is the perfect extension of our Foot Book by Dr. Seuss Outdoor Winter Activity for Toddlers where we made footprints in the snow. Don’t worry if you don’t have a sledge you can improvise with a black plastic bag, in fact, the only essential is a slope – but a sledge is always good. 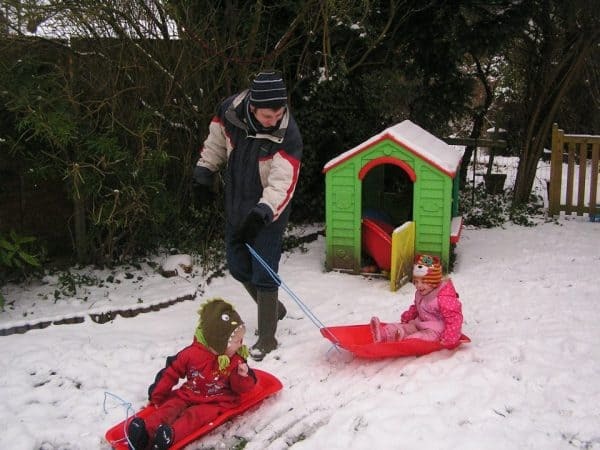 Once you have your toddler used to the feeling why not grab a bag or a sledge yourself and race against each other. 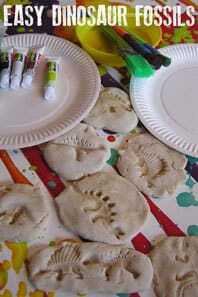 No need for a freezer when you make ice-paints in the winter so fill up your ice cube tray as our instructions and leave it outside then in a few hours get creative making your own ice paint drawings. Perfect for some colourful winter themed art outside. Grab your spray bottle add some liquid food colouring and water and get outside and paint the snow – spray shapes, letters, words, pictures and numbers and have fun turning the white stuff into a colourful playground before it melts away. 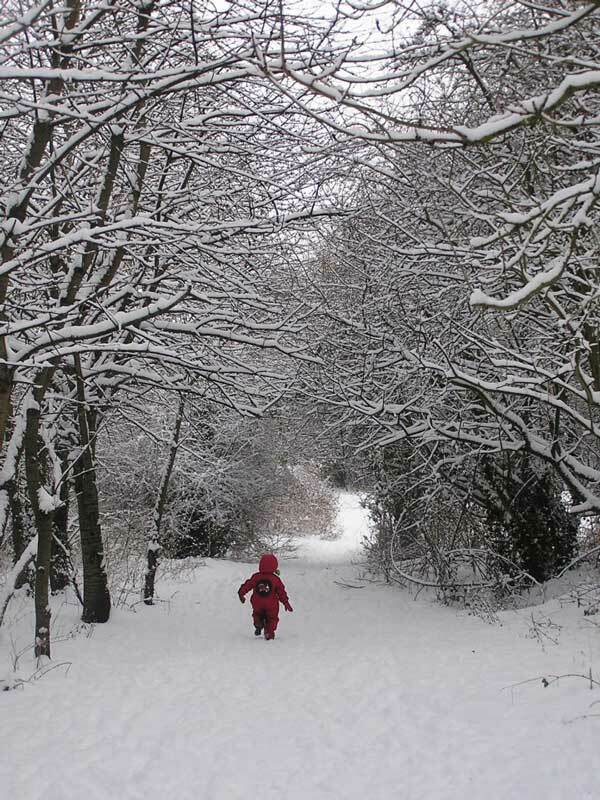 Dressed up in a snowsuit, with layers and layers why not take a walk on the wild side and head to the woods. 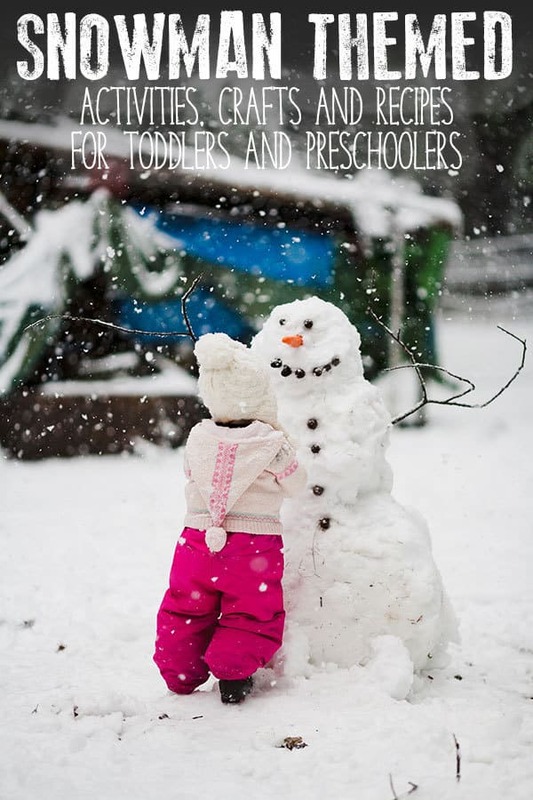 You can’t help but spot your toddlers and preschoolers against the white of the snow so let them explore and run around. Don’t forget to snap a picture – the one above I’ve had made into a canvas and many years on that is still a favourite picture of mine from the winter we had a lot of snow. The snow provides an ideal way to spot the animals that can be found even when they are hidden – look down and see what tracks you can find – are there birds, deer, cats or dogs around. 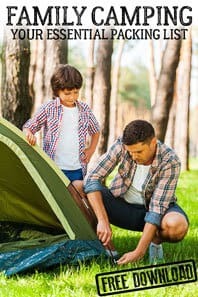 Your toddler probably won’t be very good at spotting the tracks but when you find them they will have a wow moment especially if you can return home and find some images of the animals that you can spot. This won’t take long but will provide you with opportunities to view nature all winter long from inside and give you an opportunity to pop outside every day. Set up a bird feeding station that you can see from a window that you like to sit by. 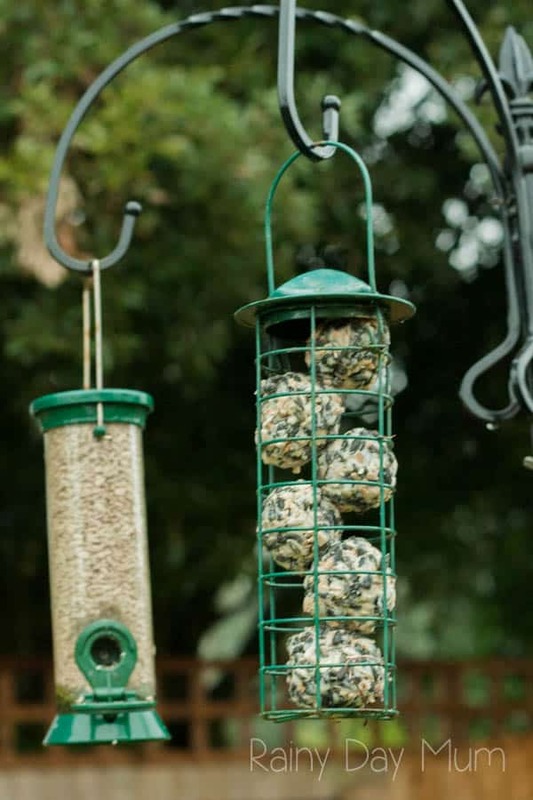 Top it up with a selection of seeds and even make your own Suet Balls that will help the birds get the fat that they need to keep warm in winter. 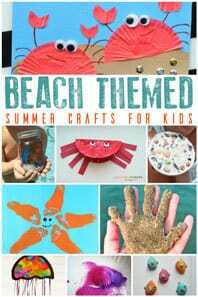 Once you have finished outside then head back inside and try some of our Winter Activities and Crafts for Toddlers and Preschoolers. 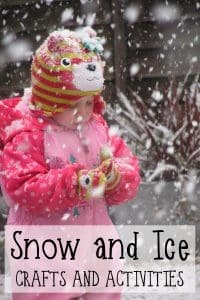 Snow and Ice make great inspiration for crafts and activities give some of our recommended ideas that we have tried and tested with the kids. They will love them! One of our favourites! Bringing the snow inside and having a snow bath! The sensory fun of the warm bath water with the cold snow is different for kids to experience. 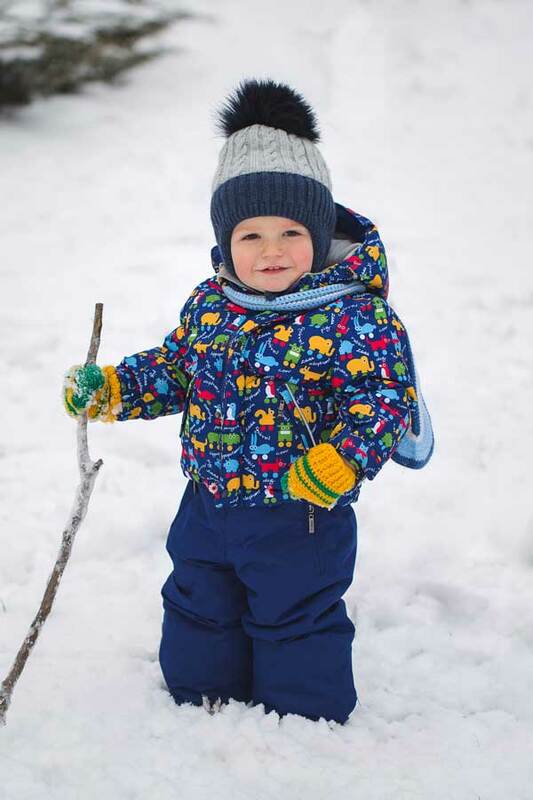 If your children loved the snowman building outside the best and you feel inspired why not continue the fun indoors with our activities, crafts, and recipes on the theme of Snowmen. 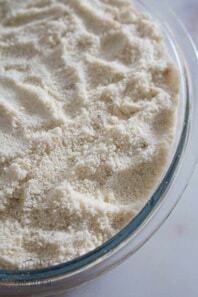 Try the 3 ingredient snowball cookies – they are delicious and so easy to make. 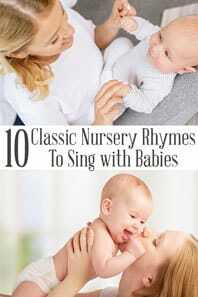 We love singing and these Winter Nursery Rhymes and Songs are ideal to sing together inside and out when the snow and ice are on the ground. 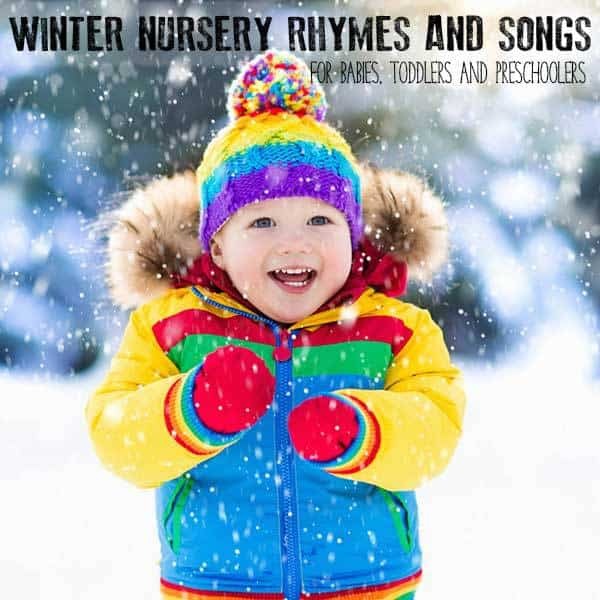 Check out our Winter Rhymes Pack of words that you can buy, printout and then use instead of having to reach for the tablet each time you want to sing and can’t remember the words. 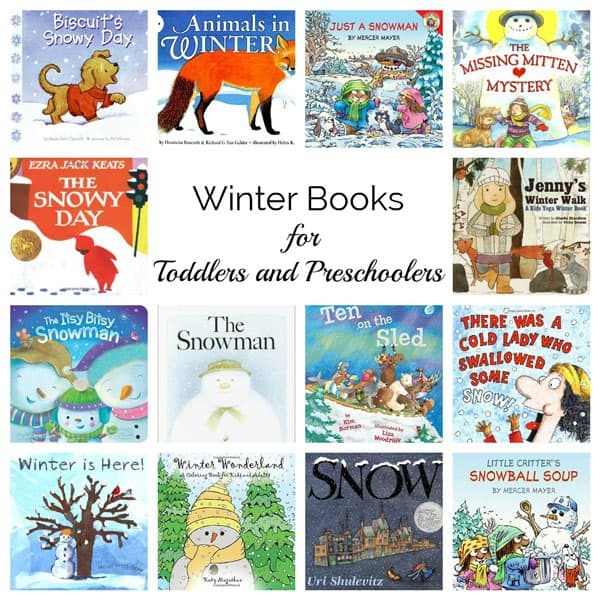 When you want some quiet time to snuggle up with your toddlers and preschoolers with one of the books from our Winter Book Collection perfect for reading aloud and inspired by the weather, season and events throughout the winter months.